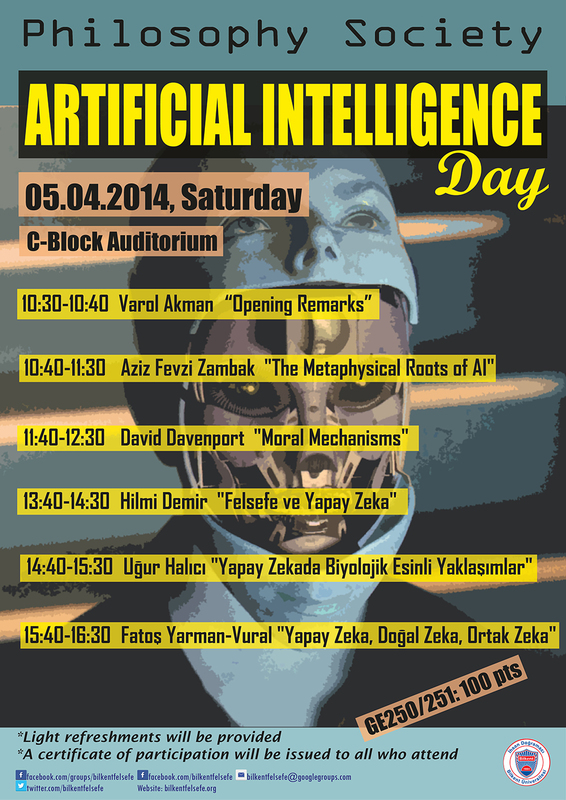 2nd International Symposium on Brain and Cognitive Science, April 19, Sunday, 2015, ODTU (METU), Ankara. is going to be held in April 19, Sunday, 2015, at ODTU (METU), Ankara. by Fuat Balcı (Koç University) on May 2, at 16.00, in Law Building Room 332. ABSTRACT: Interval timing refers to the ability to perceive, remember, and organize responses around durations ranging from seconds to minutes. This fundamental ability is observed in many species (e.g., fish, pigeons, mice, rats, humans) with virtually the same statistical properties. In this talk, I will briefly introduce interval timing along with its psychophysics. Then, the relation of interval timing to decision-making will be explored at the level of the underlying processing dynamics and with respect to optimality (reward maximization). Different model-based approaches to time perception will be discussed and evaluated in terms of their neural plausibility. To this end, I will specifically introduce our drift-diffusion model of interval timing and extend the scope of its application to temporal decision-making. I will demonstrate that the processing dynamics that underlie interval timing and account for its psychophysical properties within the framework of the drift-diffusion model can also account for the accuracy and latency (i.e., response times) of decisions about time intervals. Finally, the importance of interval timing for reward maximization in temporal and non-temporal decision-making will be discussed with an emphasis on the role of temporal noise characteristics in determining optimal decision strategies.